It’s nice to take a few minutes every now and again and appreciate just what a difference design can make to our lives. We’ve picked 5 classic designs which revolutionized the world around us. What do you think? Are there other designs you’d like to include on this list? Or have we got something really wrong in your opinion? Let us know on our Facebook, Twitter or LinkedIn pages. The Sony Walkman (another design classic) may have begun the journey to “music on the move” but it was the Apple iPod that completed it. 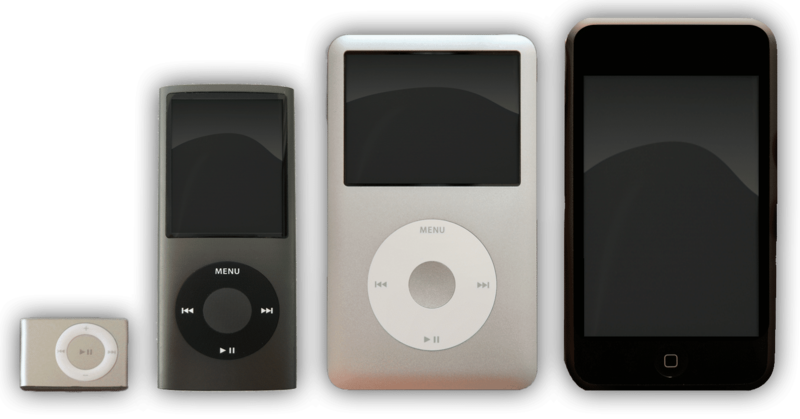 There is no product of the 2000’s that is more instantly recognizable or as user friendly. The sleek interface and aesthetic design would go on to inspire the iPhone (a device that would literally change the world for billions). It inspired a generation of copycats but none of them came close. The iPod Classic may have been retired this year but the concept keeps on going in other Apple guises. This design has a very unattractive purpose but there has been no weapon of war as universal as the AK-47. Kalashnikov was presented with a unique problem; to create a rifle capable of withstanding all the battlefields conditions on earth and to make it so simple that event the silliest soldier couldn’t ruin it. He succeeded so admirably that decades after its invention the AK-47 remains one of the most popular combat options today. The first mass-produced and affordable vehicle was an incredible game changer; it enabled people the world over to become flexible about when and where they work and to become massively more productive. The Ford Model T was a triumph of design and engineering skills. Henry Ford achieved his objective of; “I will build a car for the great multitude. It will be large enough for the family, but small enough for the individual to run and care for. It will be constructed of the best materials, by the best men to be hired, after the simplest designs that modern engineering can devise. But it will be so low in price that no man making a good salary will be unable to own one – and enjoy with his family the blessing of hours of pleasure in God's great open spaces” and the world was a better place for it. The iPhone has already been mentioned once but the change that enabled us to access the internet from the palms of our hands cannot be under-estimated. More than 1 billion people will access the internet for the very first time this decade and they will do it because of the smartphone. The iPhone was beautiful, it was simple and for the very first time – it brought us an internet experience on mobile that we actually recognized (unlike the hideous WAP phones prior to that point). The world changed so dramatically that today most people struggle to remember what life was like before the smartphone. There is something incredible about the idea that we can now shift nearly 1,000 people between continents in the sky. It’s a game changer because it allows airlines much more flexibility on the most popular routes and enables even more travel and exploration of our own world. Because someone else has been there before you; it doesn’t mean that you won’t see the place through new eyes.